This year we went on a 3 week trip of Italy. 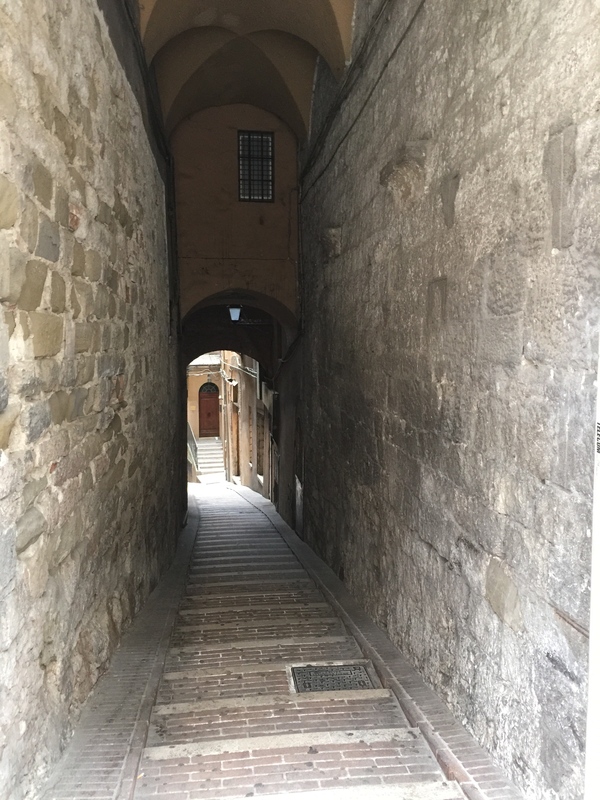 The first week we spent in Tuscany and the last 2 weeks at our home in Campania. 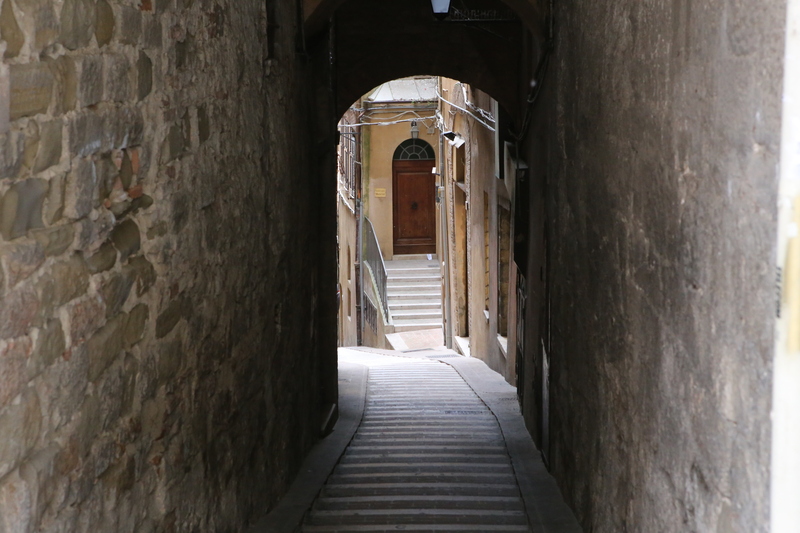 Tuscany is beautiful with many old mountain towns to be explored. Too many for one trip so we will be back. 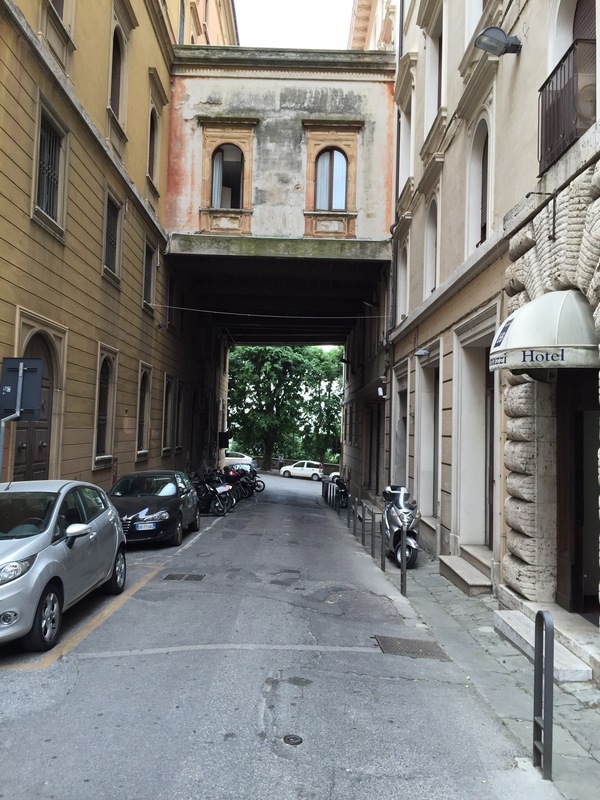 We started on an overnight flight from Philadelphia to Rome. Landing Friday morning we started our trek to Tuscany in our rental car. 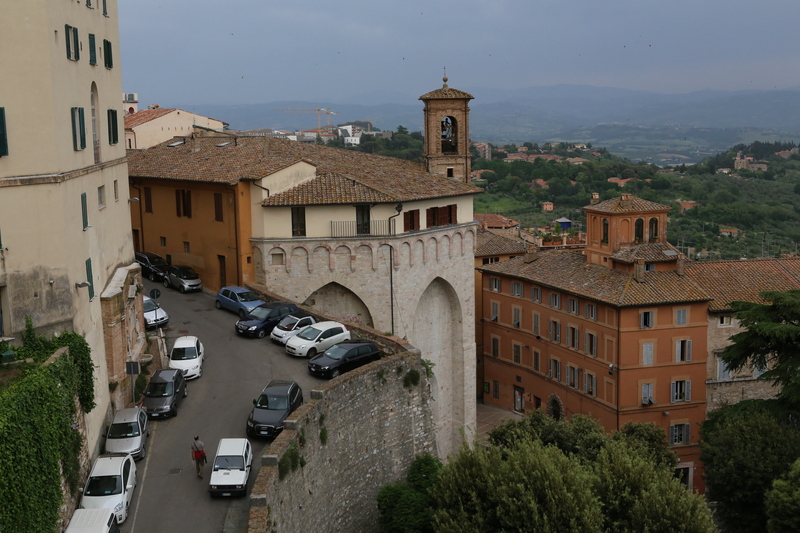 Perugia was our first stop. 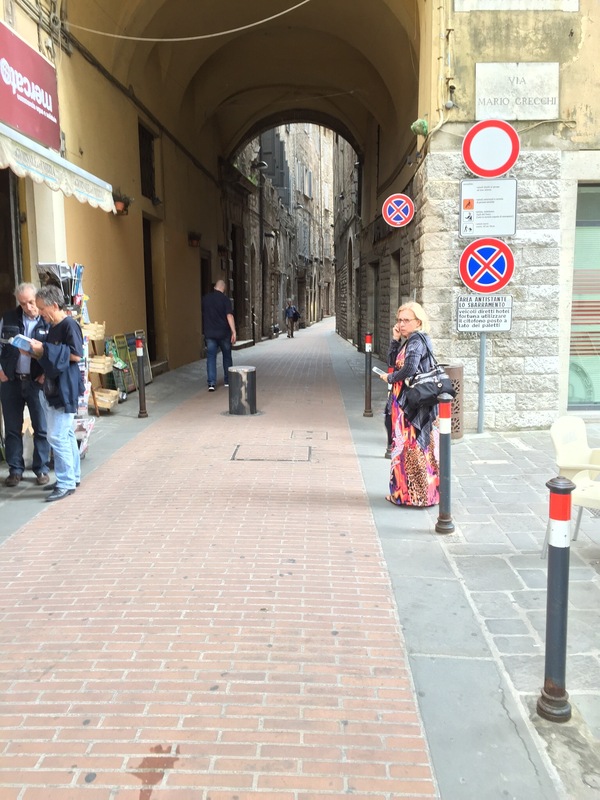 This is a beautiful city on different levels that was made famous by Perugia chocolates. 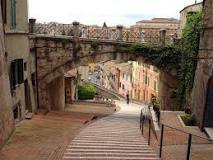 It is in the Province of Umbria, region of Perugia. It has a population of about 168,000 people. 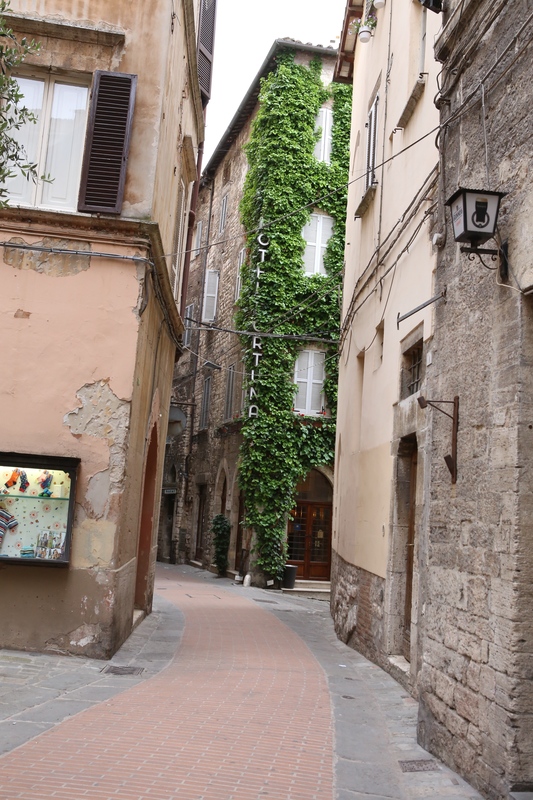 The city center is small with very narrow streets. You can only drive in if you have a hotel stay in the center. Beware that the driving is not for the faint at heart. There is a very large parking garage outside the city central with easy access. From the garage you can take a series of escalators up to the old town. The escalators run up so you will have to carry your suitcases down or take the streets. 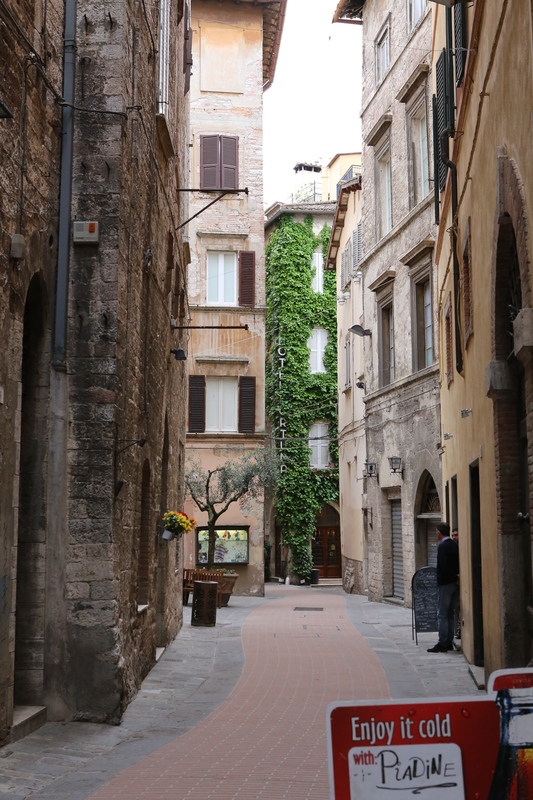 Perugia is a wonderful, romantic town. Walk all the streets of the center center and enjoy. 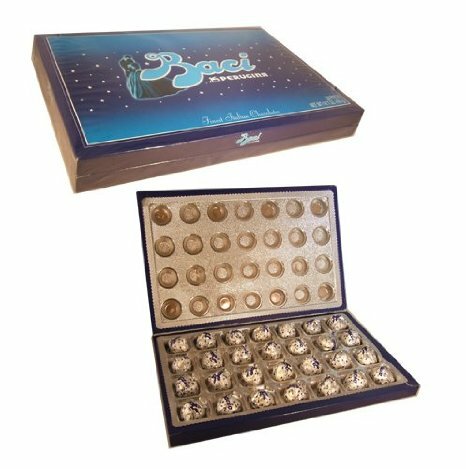 Stop at a candy store and enjoy some Perugia chocolates. 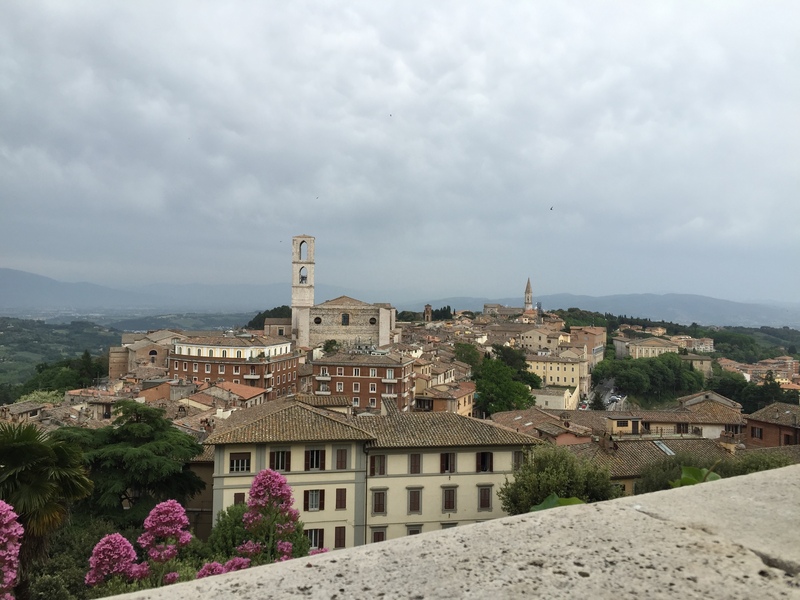 Nearby towns include Assisi, Cortona, Montepulciano and Siena. Buon viaggio (Have a good trip)! 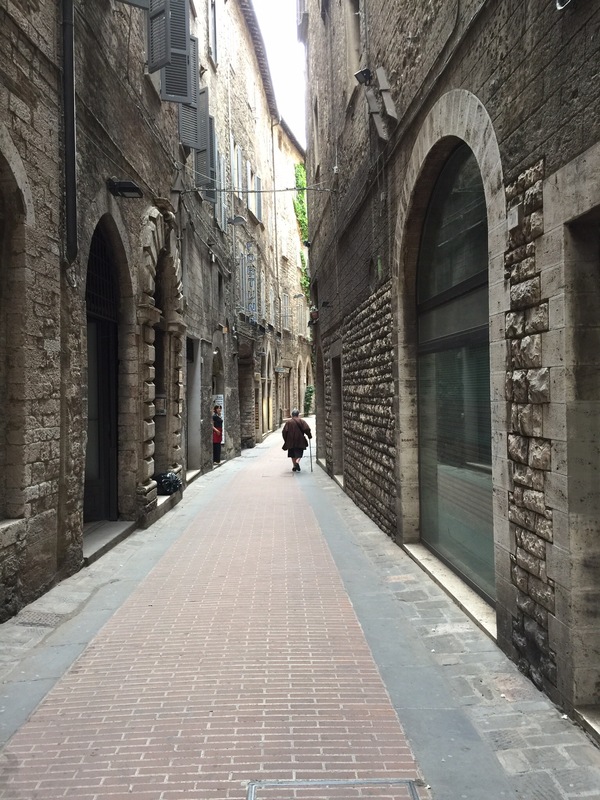 Assisi is a beautiful small town on the eastern side of Italy. It is very close to Perugia the chocolate town that is home to Perugina. 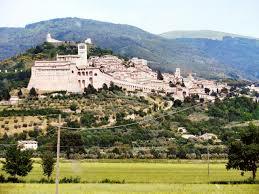 Assisi is known as the birth place of Saint Francis. St. Francis is known because as the son of a rich man, he gave up all his worldly possessions and lived in the forest. He later founded the Franciscan Monks. 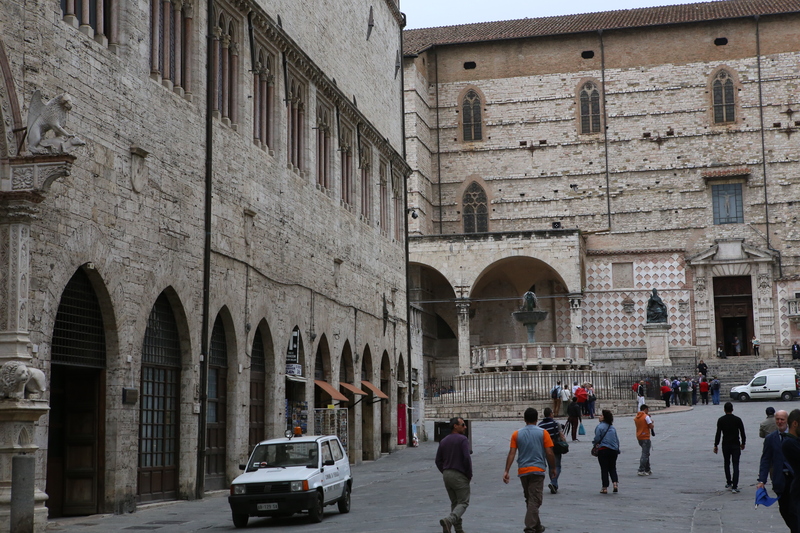 Assisi is home to the cathedral of Saint Francis at one end and a typical small city center at the other end of the town. 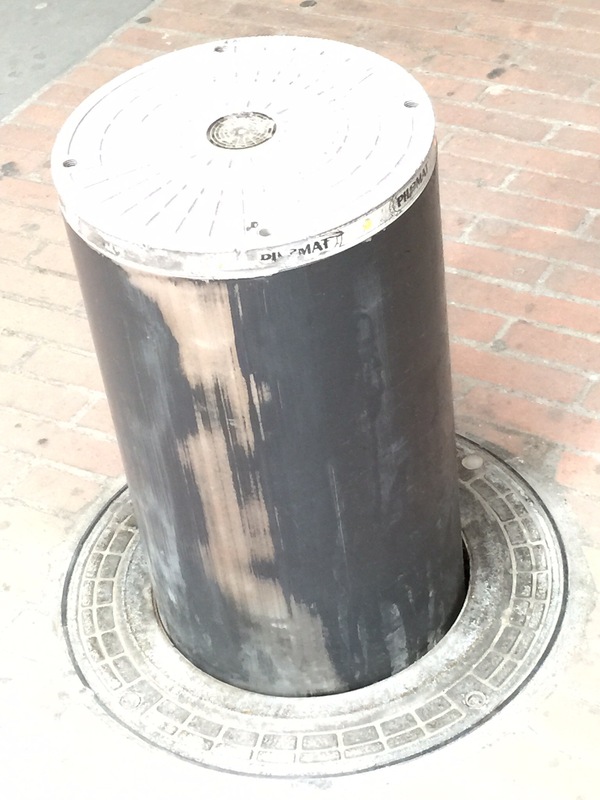 You can easily walk around this city. 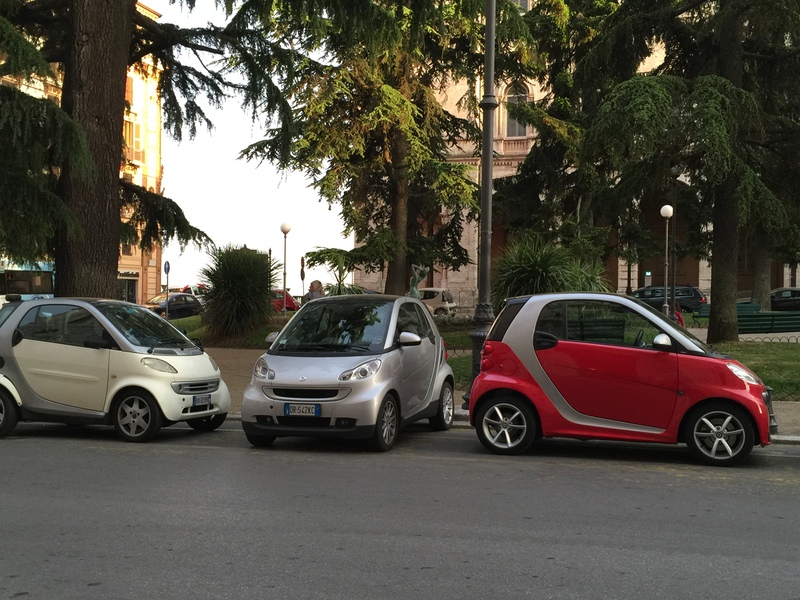 Driving in the center is restricted but you can park in lots outside the center and walk in. The church is actually two churches, one on top of the other. Visit Saint Francis’ grave. Walk around the church complex and visit inside each church. 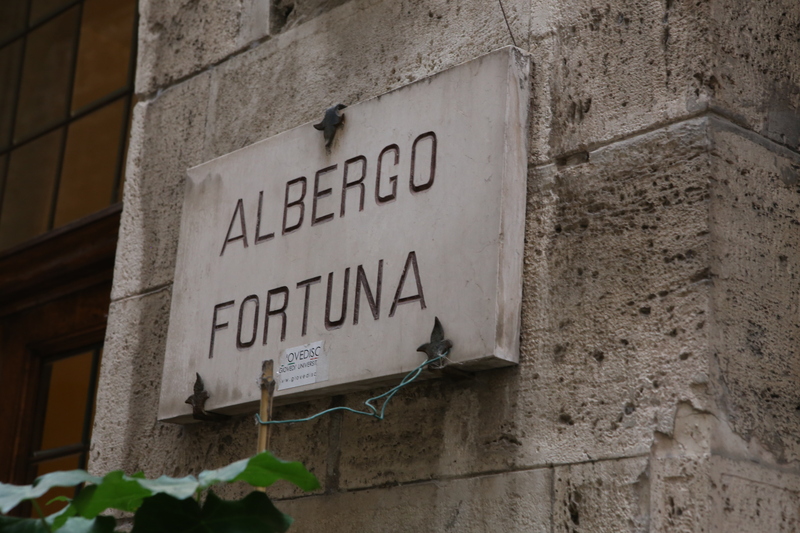 Then walk to the city center and enjoy a caffè, gelato, Panini (sandwich) or lunch at a trattoria. The church is built on a hill and the surrounding countryside and mountains are beautiful. This is a special place to be enjoyed and o relax in. 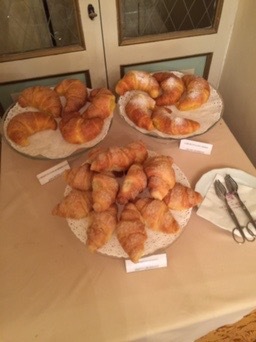 OK, we have our white truffles and wine but there are two other great desserts (dolce) to taste in Italy. The first is fine chocolate and the second Italian Gelato. Today we will focus on the fine chocolate. 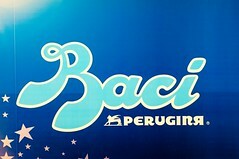 Most Americans know about Perugina Baci. These are the Italian version of a chocolate kiss. They are made with real dark chocolate and hazelnuts. Inside the wrapper with the chocolate kiss is a paper with a proverb on it. We have always enjoyed Perugina. 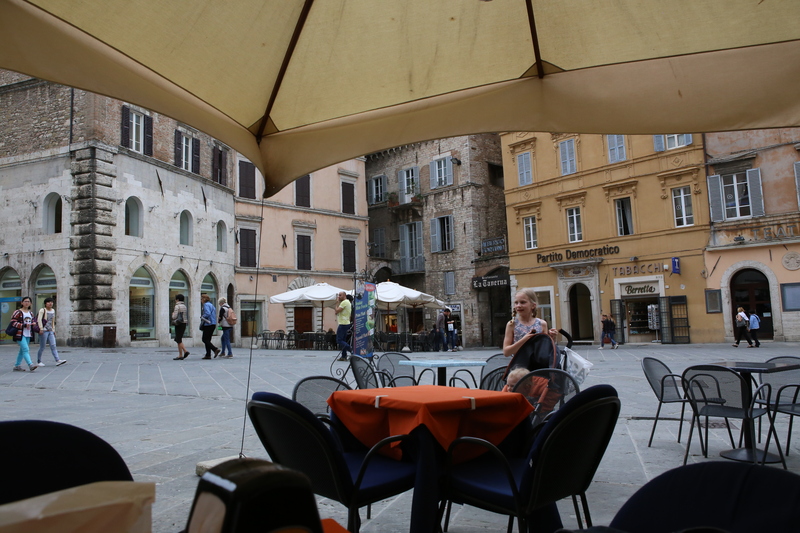 If you are in Tuscany near Assisi where Saint Frances’ Cathedral is located, stop in Perugia. Perugia is home to Perugina chocolates. It is located just outside the city and has a tour of the factory. You can, of course, taste the chocolates. 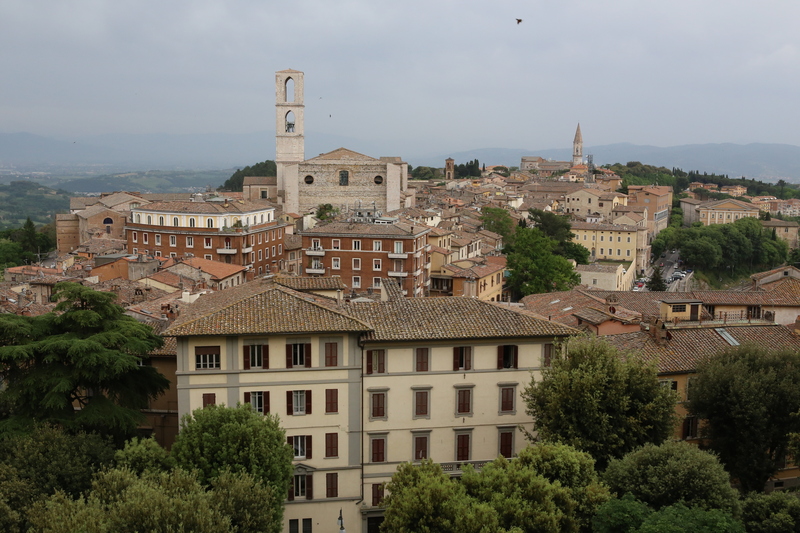 Perugia is a great small town to visit as well. 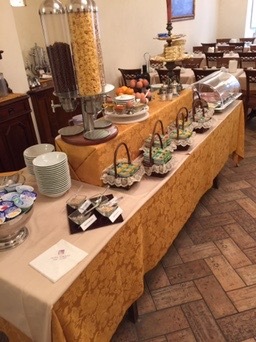 As you travel the Italian countryside, you will find small towns with chocolate shops. These shops have people who make their own homemade chocolates. Most will give you a sample to try. This chocolate is totally fresh and without preservatives. Pop one into your mouth. Hold it on your tongue and let the rich dark chocolate melt. The sensation is very sensual. Now chew it and enjoy the tastes. Dark chocolate is healthy and enjoyable. Europeans use much less sugar than we do here in the States. Our sweets have become too sweet. Sugar is addictive and the food industry knows it. In Italy things have a little sugar but it’s not overpowering. Enjoy the other flavors in the candy. We find that American milk chocolate actually hurts your teeth because of the sugar content. The Italian chocolate never hurts. Now you know how to enjoy a day. Start by having a meal with white truffles (in season). Maybe a pasta dish. 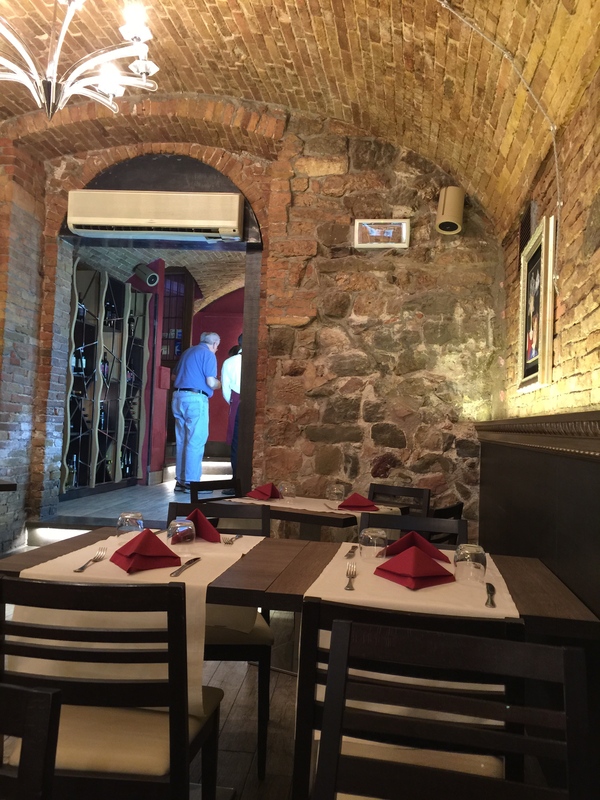 Enjoy the flavors with a glass of local wine. Stop by at a chocolate shop and enjoy a small piece of chocolate. Tomorrow we will cap the day off with some gelato. Yesterday I BLOGed on Perugina Chocolates from Perugia, Italy. Today we look at the factory tour of Perugina Chocolate. Wanderingpalete BLOG talks of a tour and how wonderful the chocolate was. 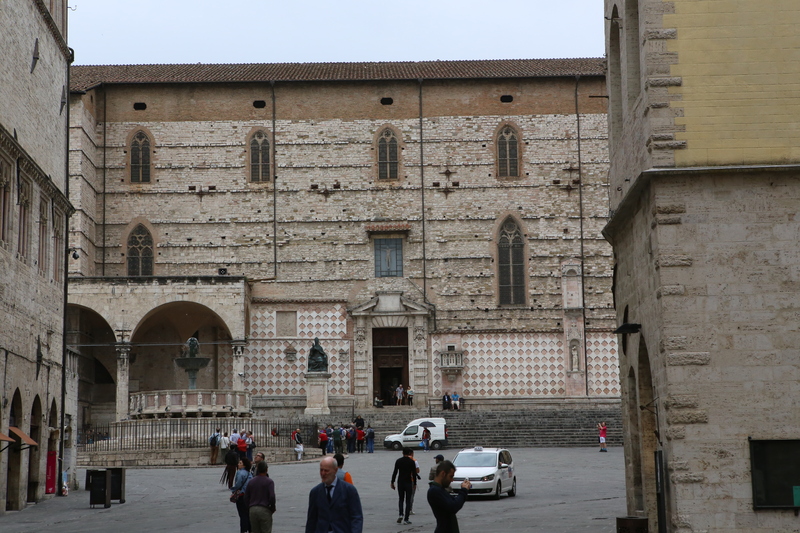 If you are visiting the Tuscany or Umbria regions of Italy don’t miss this wonderful city and its world-famous chocolate. Click here for tour costs and information. Chocolate is loved around the world!